Entries tagged with "Benefits of Adult Braces"
Today, braces are not just for teens alone. With modern dentistry, no one is too old for a perfect smile. Hundreds of thousands of adult patients, and counting, are improving their smiles with state-of-the-art braces. 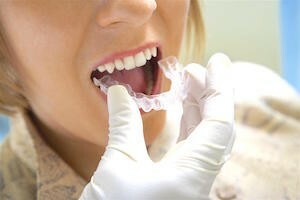 Researchers believe that adults are comfortable with orthodontic care later in life due to ground-breaking changes in orthodontics as well as the benefits of discreet adult braces. Reasons vary why some adults need braces. Others may have never received orthodontic treatment when they were still young to correct malocclusions (bad bite), crooked or crowded teeth or jaw joint disorders. But the most primary reason is to improve one’s smile and oral care habits. Like children, some adults suffer from some form of orthodontic problem and wearing adult braces is the key to a healthier and straighter smile.